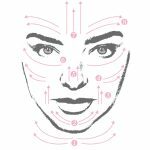 Miranda’s friend and crystal healer, Holly Star, has offered her advice on how to best harness the energy of your crystals—plus we have created a quick cleansing ritual for your Rose Quartz Heart Facial Sculptor. To get the best out of your rose quartz stone we suggest cleaning it after each use, as well as cleansing it regularly. The difference being to clean dirt and oil—and cleanse the energy of the crystal. 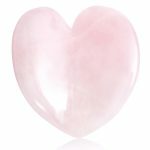 To ensure your rose quartz stone is kept clean, we suggest rinsing it in warm water and wiping with a soft cloth after each use. Leaving your heart to dry on a sunny windowsill may also help clean the stone from any unseen impurities. Cleansing (or clearing) the energy of the stone is also recommended. Holly Star has shared how to best keep your stone as positive and high-vibrational as possible. 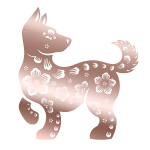 “Clearing crystals is an important part of keeping the crystals at optimal levels. Similar to how when we rest we restore our vital force. I have a variety of ways to cleanse and clear crystals,” says Holly. To ensure you preserve the self-loving and soothing vibrations of the rose quartz stone, Holly suggests “burying it in the soil next to a rose bush.” The gentle nature of rose flowers may recharge your stone with a similar essence. “They can really capture the tone of the heart and love’s essence all around,” she says. “I will even leave crystals in a forest or buried for some time, to resonate with where they have come from and to restore in their own energy field,” she adds. 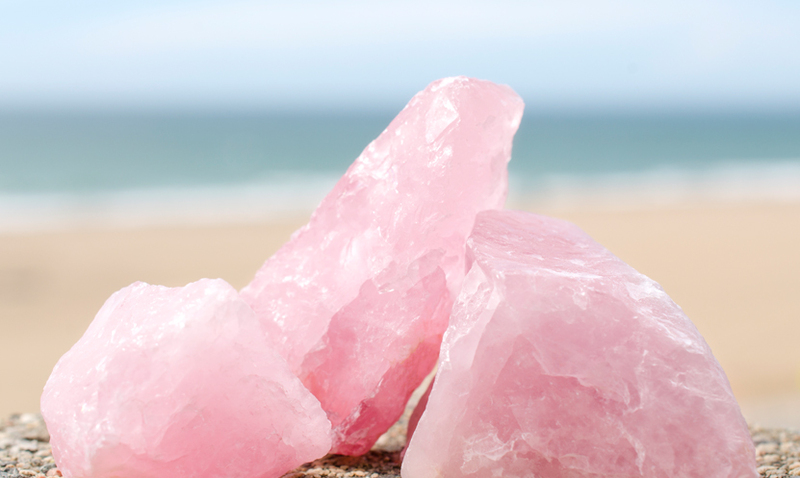 Yet one of the most known ways to cleanse crystals is under sunlight or moonlight. “I also love to just use the sun’s energy, I like placing crystals in sunlight when I am looking to capture more of the sun’s field,” says Holly. Give thanks for their benefits and let them bathe in the moonlight overnight. While many crystals like rose quartz enjoy rain under moonlight some are delicate to water and are not recommended to leave overnight. These include Selenite and Malachite. We hope you enjoy this ritual as much as we do!